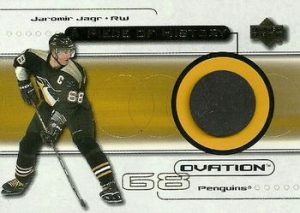 Ninja Update: 1999-00 Upper Deck Ovation Hockey Checklist	Overall rating:	0	out of 5 based on 0	reviews. 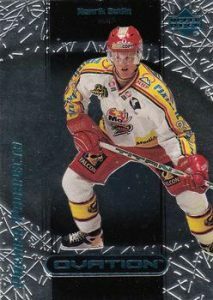 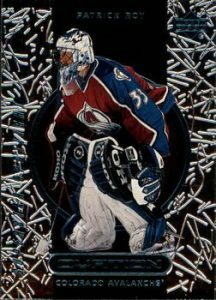 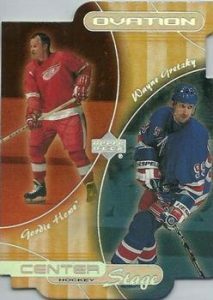 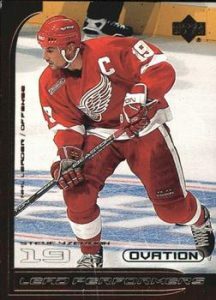 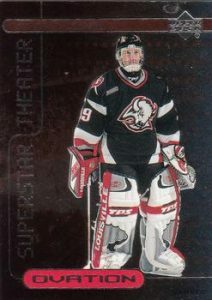 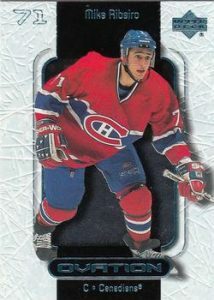 1999-00 Upper Deck Ovation Hockey was a fun product that offered inserts as the main focus, but also provided ample opportunity to find rare memorabilia cards or autographs. 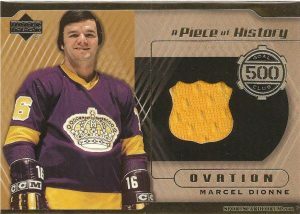 The set continues the A Piece of History 500 Goal Club set, while adding its own unique A Piece of History set. 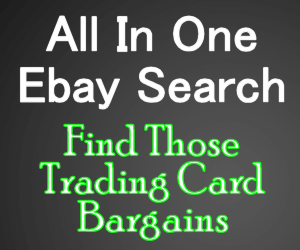 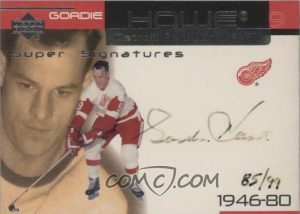 The product also offered a couple different types of parallel sets, all of which were serial numbered out of 50 or less.